President Donald Trump and first lady Melania Trump arrived in Paris Friday night where world leaders are gathering to commemorate the centennial anniversary of the end of World War I. Though the White House had previously stated the visit was intended to further solidify the U.S.-European alliance, immediately upon landing the president fired off an angry tweet directed at his host French President Emmanuel Macron. President Donald Trump and first lady Melania Trump alight from Air Force One, after arriving at Orly airport near Paris, FNov. 9, 2018. 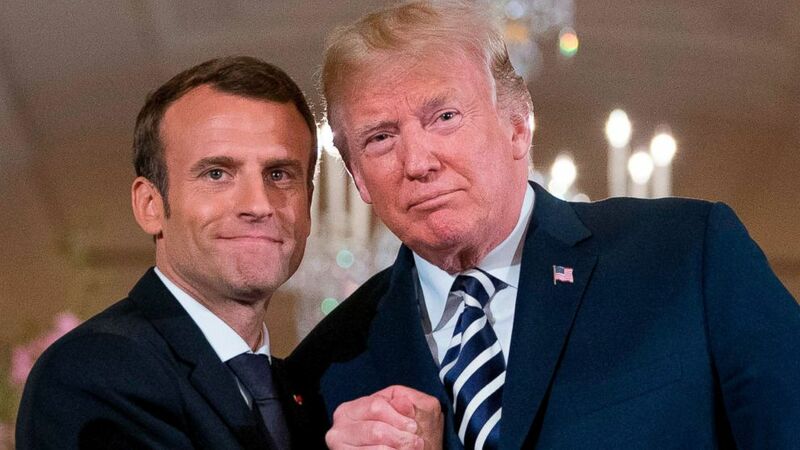 Macron cited Trump’s recent announcement he planned to pull the U.S. from the Intermediate-Range Nuclear forces treaty with Russia as evidence that Europeans should direct more focus on protecting their own security interests. The position doesn’t exactly conflict with President Trump’s repeated past demands for U.S. allies to share more of the cost burden for their defense. President Donald Trump and first lady Melania Trump arrive at Pittsburgh International Airport in Coraopolis, Pa., Oct. 30, 2018. President Donald Trump and French President Emmanuel Macron embrace at the conclusion of a news conference in the East Room of the White House in Washington, April 24, 2018. The president told reporters Wednesday that he would not be holding an extended meeting Putin before the G-20 summit later this month in South America, though said he won’t be surprised if the two interact during the leaders’ luncheon at the Elysee Palace on Sunday. August 24, 2018 Comments Off on Are Trendy Face Mists A Total Waste Of Money?